Review: Soundless has a cool premise and incredible cover-unfortunately, I didn't care for too much else about this book. I was really excited to read something with a Chinese setting....but other than the names, this book could have been set anywhere. There was very little world building. It's also a stretch to characterize this as 'fantasy.' The fantasy aspect was thrown in (literally) in the last few pages. 95% of the book was extremely slow and boring and the everything was quickly wrapped up at the end. In fact, I stopped reading this multiple times before I finally finished it. You may be thinking, what about our heroine, Fei? Mead's main characters are known for their strong and feisty personalities. There was nothing wrong with Fei-she was a talented artist trying to protect her sister and figure out what was happening with her village. She was brave, strong and...well, boring. The romance she had was also...boring. I could not understand the village dynamics-why the miners received low portions of food when they were physical laborers did not make sense on any level. There was no mention of teachers or healers in the village. I could not stop wondering if everyone was inbred since the village hadn't seen an outsider in several generations. 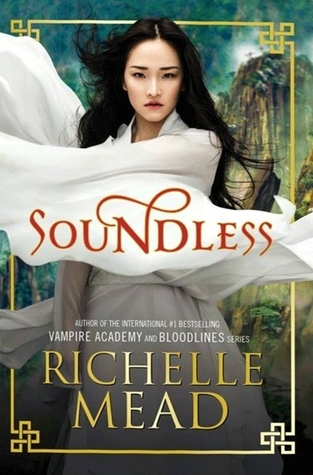 Overall-my least Richelle Mead book to date, but I will keep reading anything she writes because I love most of it.